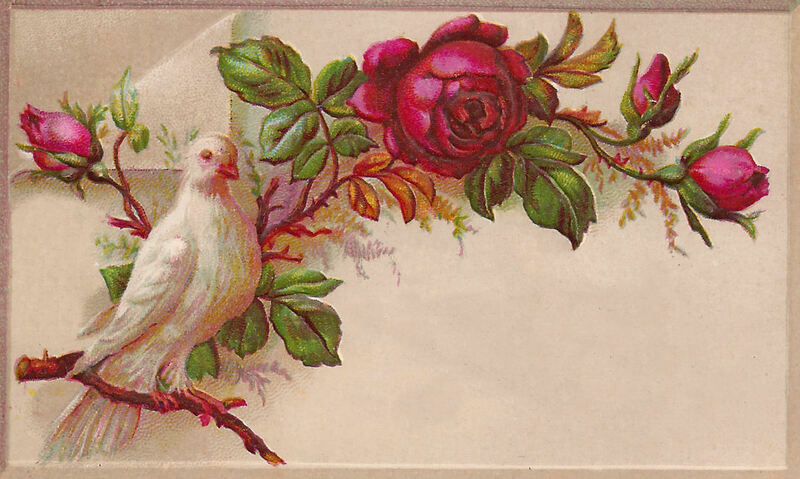 This is a beautiful Victorian Calling Card from my 1879 scrapbook. These little cards are so pretty, and I especially like the ones with birds and flowers. They make for wonderful labels, which is why I've given you this version without the words. Usually, these cards will have someone's name and a short verse printed on them. What a cute business card this would make! Enjoy!